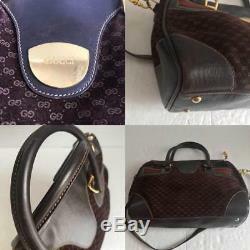 Old Gucci Shelley Line 2 Way Bag Suede USED F/S Vintage. 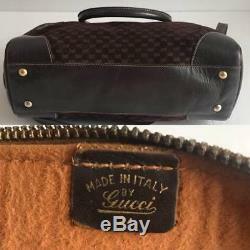 It is Gucci's 2 WAY bag. Size approximately 29 × width 40 × gusset 13 cm. Shoulder strap length about 97 cm (can not be adjusted). Suede Department There are some threads. Leather part somewhat attrition equipped. Metal parts There are dirt parts. Main Zip is a little hard. Since it becomes second - hand goods, please refrain from nervous one. International Buyers - Please Note. 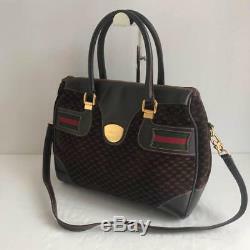 The item "Old Gucci Shelley Line 2 Way Bag Suede USED F/S Vintage" is in sale since Monday, October 1, 2018. 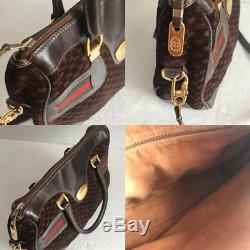 This item is in the category "Clothing, Shoes & Accessories\Vintage\Vintage Accessories\Bags, Handbags & Cases". The seller is "obrigadostore" and is located in jp. This item can be shipped worldwide.